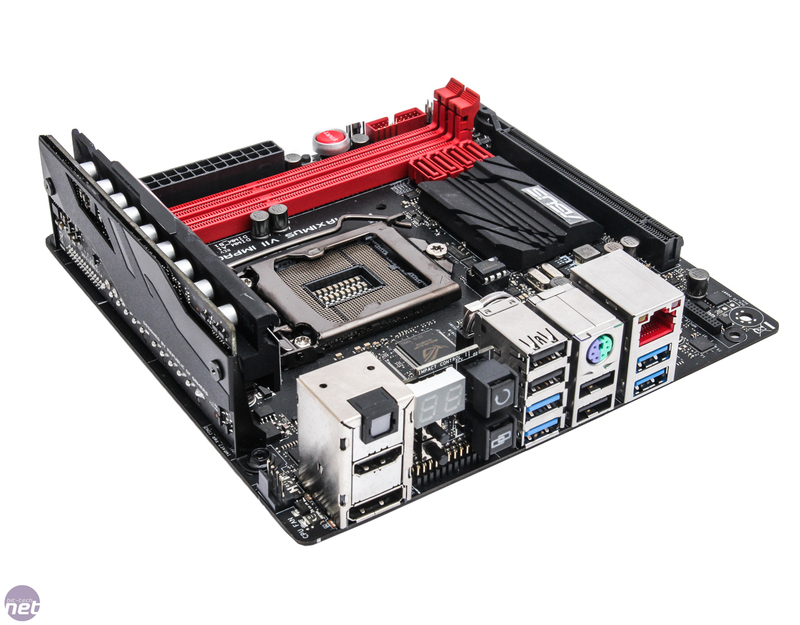 The release of the Maximus VI Impact signalled the mini-ITX form factor's entrance into the high-end enthusiast scene. 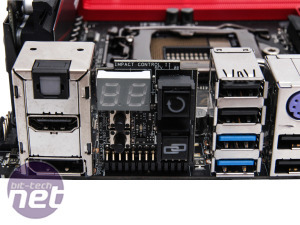 We'd seen numerous previous offerings from the likes of DFI and Zotac, but nothing on the scale of what the Impact offered, not least of all because mini-ITX had also become part of the Republic of Gamers brand. 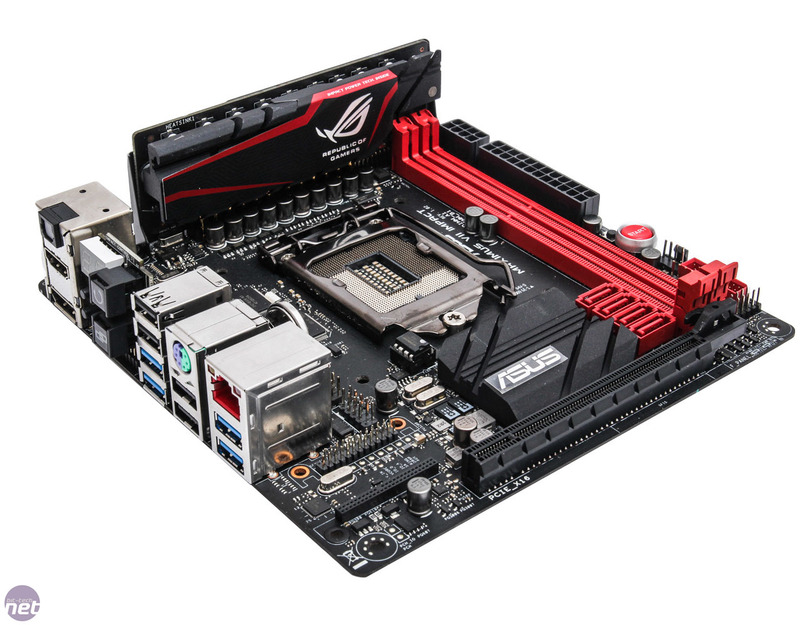 Thankfully, it appears that sales of the Maximus VI Impact weren't terrible, because Asus is back for more; yes, we've finally got our hands on the Maximus VII Impact. 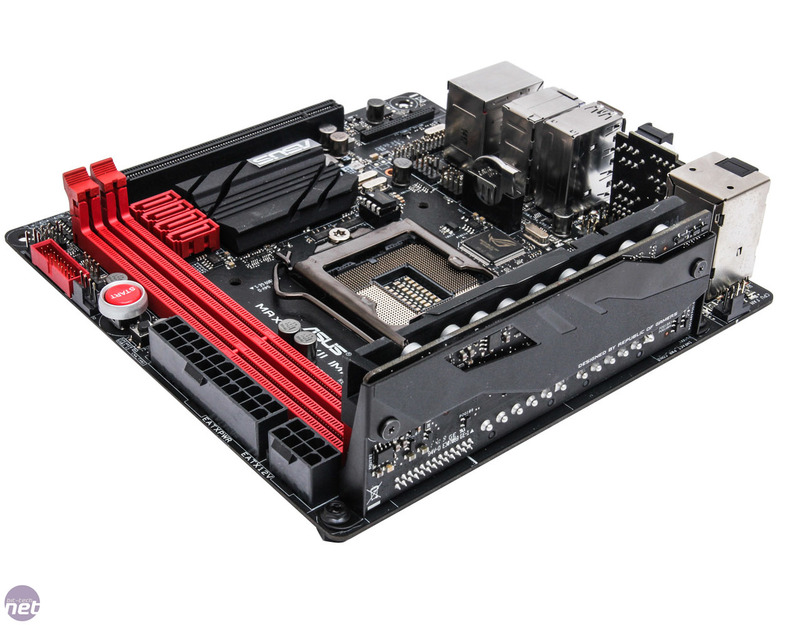 This board of course comes equipped with Intel's Z97 chipset and supports LGA1150 Haswell CPUs including the recent Devil's Canyon ones. 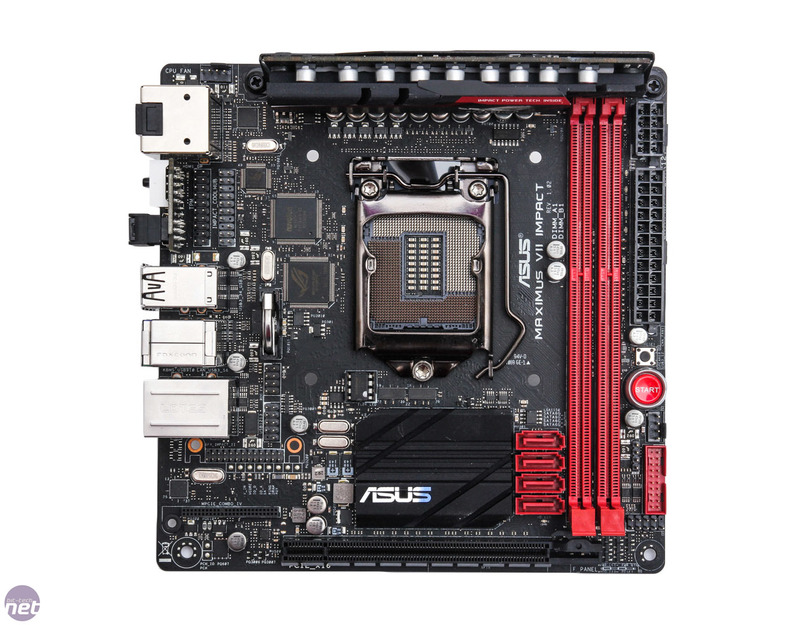 It should also support Intel's next generation Broadwell CPUs due out in the not too distant future. 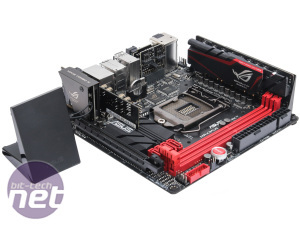 While Asus has been pushing for more affordable ROG boards in the form of the Hero and more recently the Ranger, the Impact remains in the premium £150+ bracket, although it's not horrendously priced at around £170. 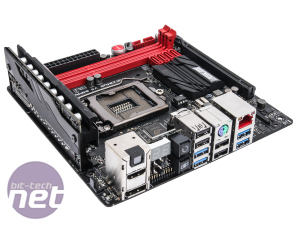 That may seem a lot for a mini-ITX motherboard but if you're familiar with the Impact, then you'll know it's not an average mini-ITX motherboard. The amount of kit crammed onto the PCB is even more extensive than it was with its predecessor. 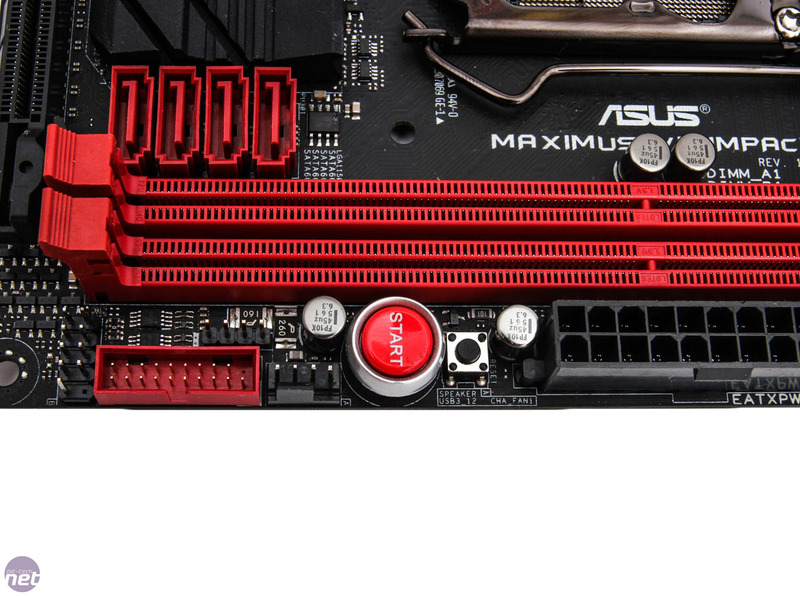 The only thing that's missing is SATA Express. 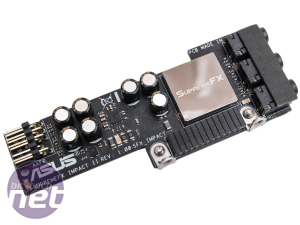 In the included list is a removable SupremeFX Impact 2 sound card, which sits in a proprietary slot next to the main I/O ports. 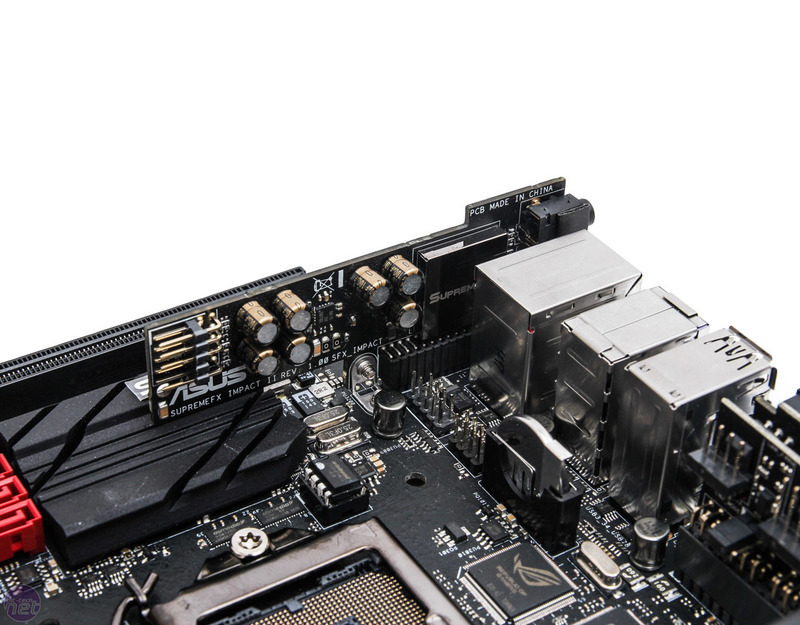 Sound cards are one of the main bugbears of mini-ITX motherboards - if you're a gamer, the precious single PCI-E slot will be filled with a graphics card, leaving you at the mercy of onboard audio or having to invest in a USB sound card. 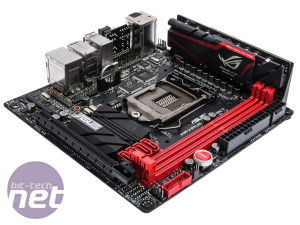 Thankfully, manufacturers are wising up to this problem; Gigabyte took the route of beefing up its onboard audio with the GA-Z97N-Gaming 5 , while Asus has continued its ROG trend of using a riser card instead - something we also saw with the Maximus VII Gene. 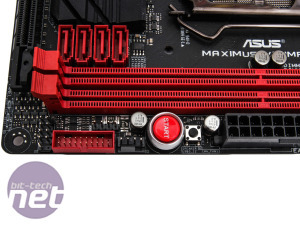 The benefit is that you'll likely find the audio quality to be good enough to avoid the need for any third party sound card, thus saving £30 or more in the process; suddenly that price tag starts to look a little more reasonable. 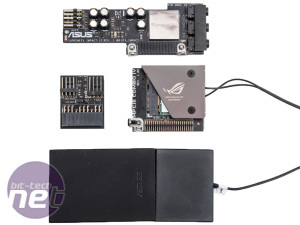 Asus has also managed to squeeze in an mPCIe Combo IV card, which sits below the SupremeFX Impact II sound card and provides both an M.2 port on the rear and a mini PCI-E slot occupied by an 802.11ac WiFi module with Bluetooth 4.0 support; a magnetic dual-band antenna for this is included in the box too. 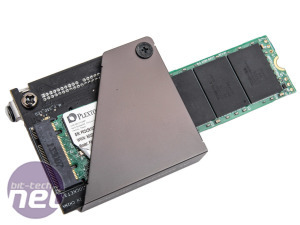 Thankfully, unlike the Maximus VII Formula, there's enough clearance here for 22110 SSDs (110mm long). 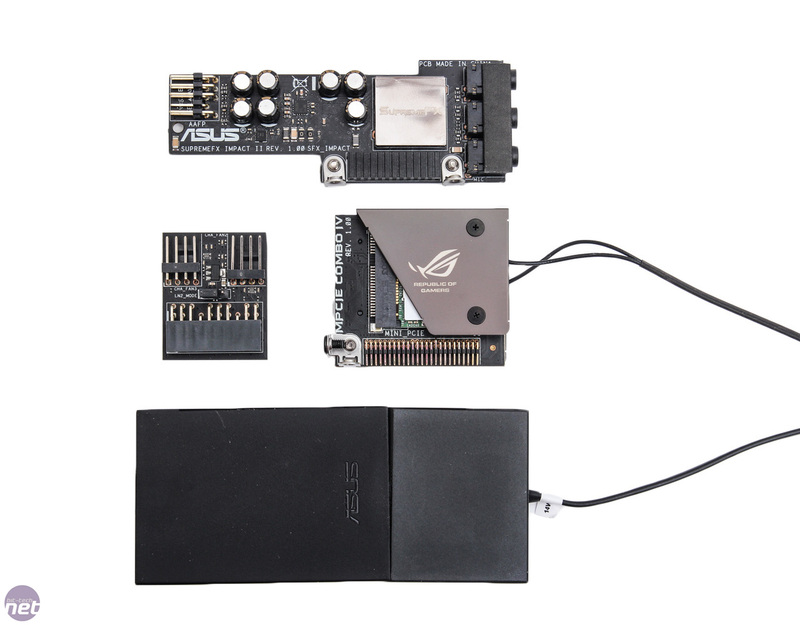 Asus has also bundled what it calls an Impact CoolHub card. 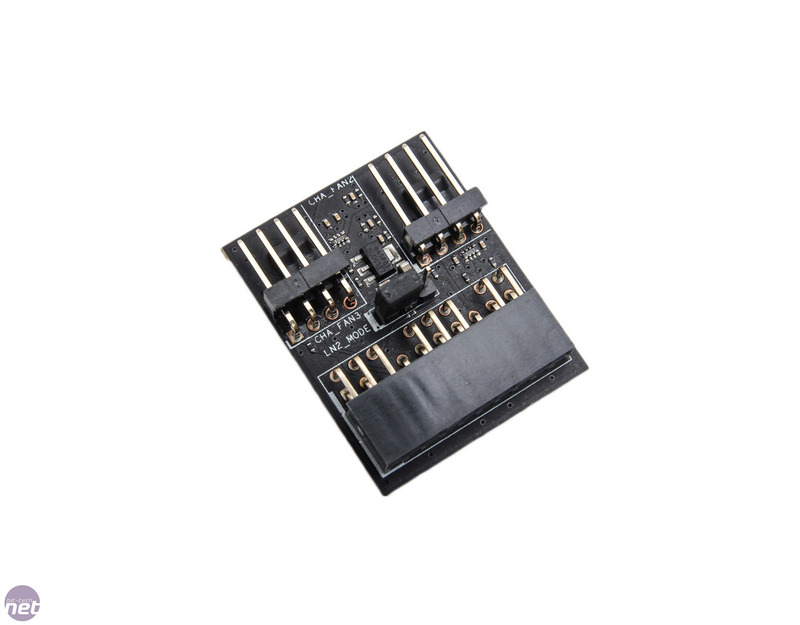 This again uses a proprietary connector to plug into the PCB and provides two additional 4-pin fan headers bringing the total to four. 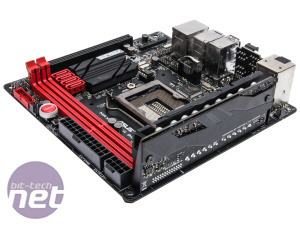 There's a fairly standard four SATA 6Gbps ports - Gigabyte managed five with its GA-Z97N-Gaming 5, although given the typical system this board will be used in, four should be plenty. 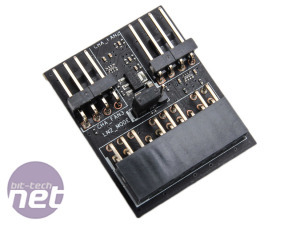 As you'd expect with a board at this price, the Impact has the full complement of overclocking tools; an LED POST code display, power and reset buttons and a CMOS clear button are all here. 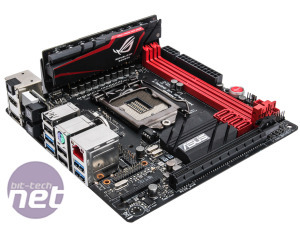 Due to the cramped PCB, a small section of the rear I/O panel offers some of these as well as controls for Asus's USB BIOS Flashback, ROG Connect, Keybot and Sonic SoundStage. 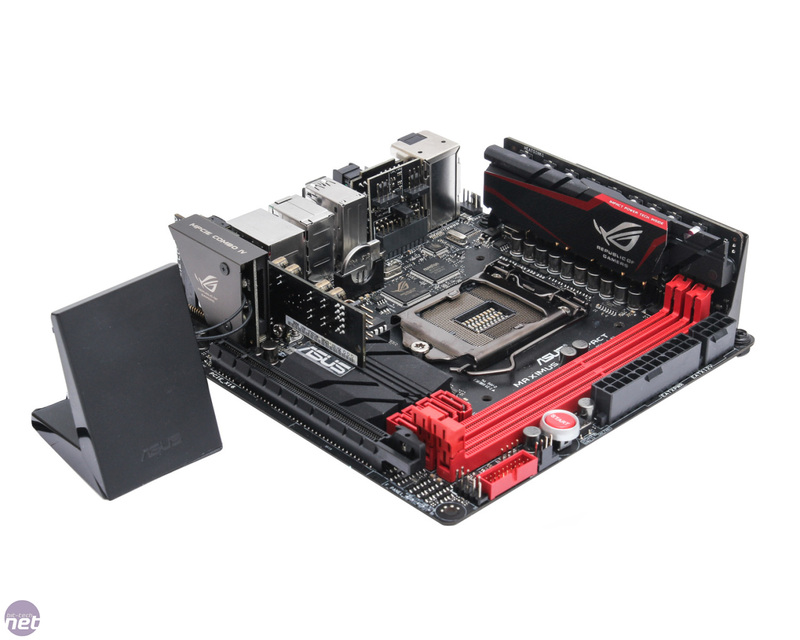 Unlike Asus's mainstream mini-ITX Z97 motherboard, the Z97i-Plus, the Impact hasn't lost its edgy VRM daughterboard and the busy PCB offers an 8+2 phase power design compared to a 6-phase design for the non-ROG board. This does mean the rest of the area around the CPU socket is fairly clear although we have seen a few people mention their particular cooling setup was hindered by the daughterboard. 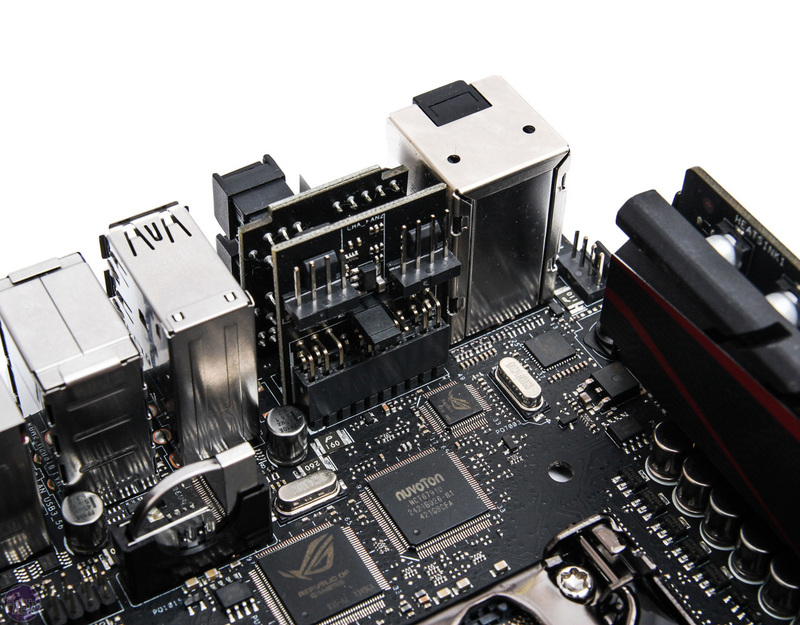 For tower coolers and water-cooling or all-in-one liquid cooling systems, we can't see any issues, although our Corsair H80i cooler's pump tubes did push up against the DIMM in the first slot if we mounted the pump/waterblock that way round. 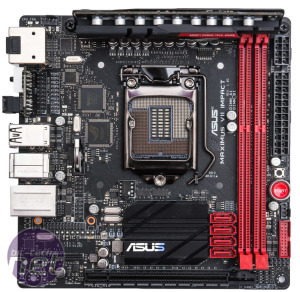 Layout is pretty good otherwise, and while MSI has placed the 8-pin EPS 12V connector all over the place in its recent mini-ITX offerings (this could be a pain or not depending which case you used) Asus has gone with the logical option of placing it next to the 24-pin ATX connector next to the DIMM slots. 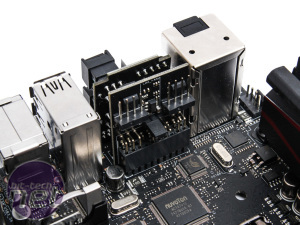 It's even managed to locate the USB 3 header and both 4-pin fan headers at the edge of the PCB too, with just the USB 2 headers providing a bit of an issue when it comes to cable tidying. 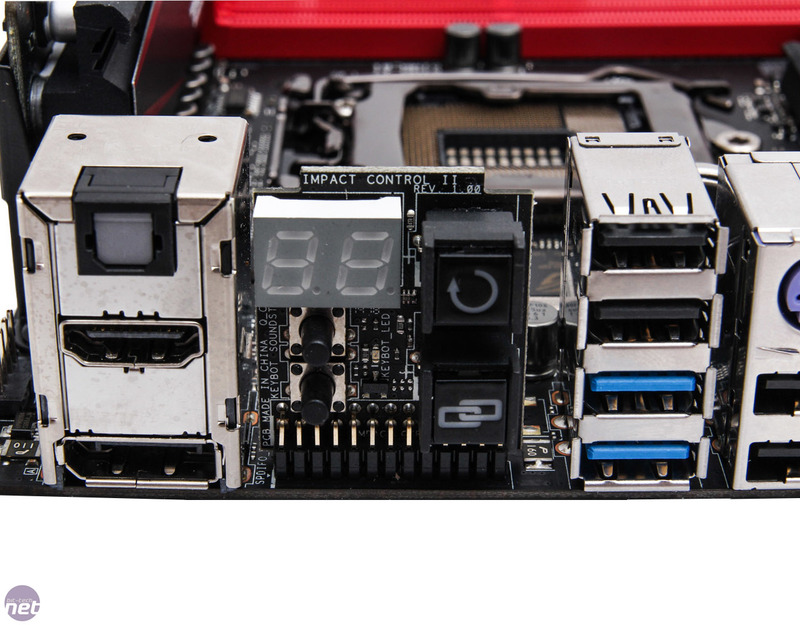 There's plenty of USB ports on the back panel too - four a piece of USB 2 and USB 3, which is two more in total than the GA-Z97N-Gaming 5. 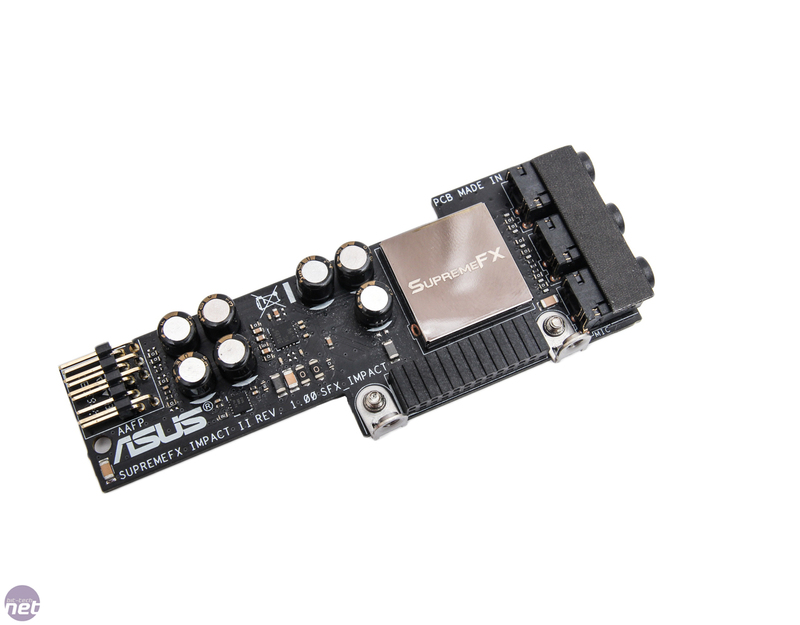 Video outputs only come in the form of HDMI and DisplayPort but you'd have to be slightly barmy to use this board without a graphics card. 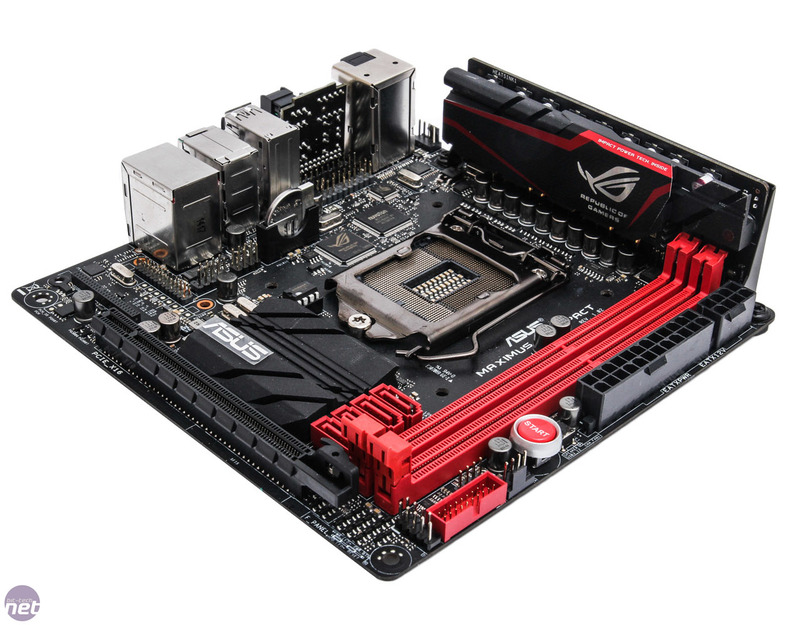 The Hero has landed: how does the Z170 incarnation of Asus's popular ROG board stack up?